Queering Family Photography was presented in three thematic sections: "Instant Intimacies," "Domesticities," and "Publics." The exhibition also included a selection of albums in vitrines, as well as a video projection that showcased FamCam participants and their stories. The Family Camera Network also hosted a Queering Family Photography roundtable on April 26th, 2018. Acclaimed filmmaker Richard Fung moderated a panel featuring prominent two-spirited activist Albert McLeod, artist Sunil Gupta, and curators Elspeth Brown and Thy Phu. It was held at Hart House (University of Toronto) and explored the themes and content of Queering Family Photography and Friends and Lovers - Coming Out in Montreal in the 70s. This free public panel drew an audience of over 60 people. 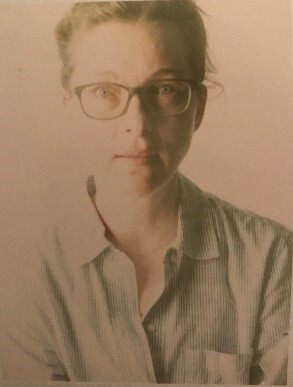 Installation of Queering Family Photography in Progress. Photo: J. Orpana, 2018. Maryam Golafshani is an MA candidate at Western University’s Centre for the Study of Theory and Criticism. Her research interests lie broadly at the crossroads of care: where the humanities and healthcare intersect. To this end, Maryam has presented a TEDx Talk on “Why Medicine needs Literature”; developed medical humanities curricula for the American Medical Student Association and Western University; and is conducting research in both Canada and the UK. Maryam is also passionate about bridging the divide between academic institutions and the broader public, and is a program coordinator for the Public Humanities at Western. This commitment to engaging a broader public is, in part, what brought her to video animation and filmmaking. Missing Chapters was a section of The Family Camera exhibition on display at the Art Gallery of Mississauga from May 4 to August 27, 2017. This section explored family photographs in relation to the themes of loss and absence, through a small selection of photographs and their stories, as well as contemporary art works. Missing Chapters acknowledged that while family photographs may seem universal, not all families have photo collections. As the intro panel explained: “Sometimes, there are “missing chapters” in family albums, due to periods of sickness, estrangement, divorce, poverty or even tragedy, among other reasons, that inhibit the desire or ability to take photographs. Some families have had to destroy or abandon their photographs due to sudden dislocation or political persecution. Photos can be lost through natural disasters or technological glitches. Even state policies can interfere with taking family photographs, by keeping families apart or trying to enforce what makes a family.” In some cases, the photographs on display represented one of the few photos—or the only photo—of a family member or a particular time. While each framed photograph in this display reflected stories of missing chapters within individual families, a large installation in the centre of the room by contemporary artist Dinh Q. Lê helped to visualize sweeping photographic loss and displacement experienced by families in Vietnam after the fall of Saigon in 1975, which precipitated a refugee crisis during the 1970s and 1980s. Lê is a diasporic Vietnamese photographer and artist based in Los Angeles and Ho Chi Minh City, whose work often combines photography and traditional weaving techniques. His installation, Crossing the Father Shore, was exhibited in 2014 at the Rice University Art Gallery in Houston, Texas and was re-mounted for The Family Camera: Missing Chapters in a new configuration. It is composed of family photographs that were taken in Vietnam between the 1940s and 1980s, which were abandoned or lost during a time of political unrest. Lê later found these photos in Vietnamese vintage shops in the 1990s and used them to create the installation. To transform the individual photos into haunting sculptural forms, Lê wove them together, in a technique approximating Vietnamese basket making. He created large panels, or tapestries, of photographs, which were carefully hung from the ceiling to create geometric forms. Lê’s installation created a space of memory. Some photographs in the installation faced the viewer and others were placed facing away from the viewer revealing the handwriting on the back. The writing hints at the significance that the photo may have had in someone’s life. And yet, on some images, the artist added his own text, drawn from Vietnamese poetry and from oral histories of Vietnamese American families done at Rice University, as a means of symbolically, if indirectly, speaking to the family photos. In a video clip produced by Walley Films (commissioned by the Rice Gallery), Lê describes the photos as a kind of “surrogate family photo album or collection,” filling in for his own family photographs that were lost when his family fled Vietnam. Visitors to Missing Chapters were also invited to share their own family stories of missing or lost family photographs in a participatory art piece entitled, Lost Photographs, created by OCAD U students Katie Micak, Samaa Ahmed, and Mudit Ganguly. In this single channel video, recordings of people sharing their own stories of lost or missing photographs were set against videos produced by the artists. This work was updated monthly and it included a wide range of stories, such as photos that were lost due to natural disaster, digital photos that were accidently deleted, and photos that were simply never taken. The Family Camera explored the relationship between photography and the idea of family, and it looked at family photographs as a cultural practice through the lens of migration. This exhibition was a primary exhibition in the Scotiabank CONTACT Photography Festival, and it was presented at two venues: the Royal Ontario Museum (May 6-October 29, 2017) and the Art Gallery of Mississauga (May 4-August 29, 2017). With nearly every photograph featured in this exhibition coming from a Canadian home, The Family Camera shed light on how family photos reflect and shape our sense of self, family, community, and nation. The exhibition featured over 200 objects, mostly photographs and stories collected through The Family Camera Network. It also included loans from private and public collections, works by artists Jeff Thomas, Deanna Bowen, and Dinh Q. Lê, and an immersive installation created by students in OCAD University’s Digital Futures program. THE FAMILY CAMERA, INSTALLATION VIEW (J. Orpana, 2017). The Family Camera exhibition explored the relationship between photography and the idea of family, and it looked at family photographs as a cultural practice through the lens of migration. In Canada, migration is central to family history, whether recent or in the past, and over short or long distances. Family photographs play an important role in reflecting and shaping these experiences. With nearly every photograph featured in this exhibition coming from a Canadian home, The Family Camera shed light on how family photos reflect and shape a sense of self, family, community, and nation. The exhibition featured over 200 objects, mostly photographs and stories collected through The Family Camera Network. It also included loans from private and public collections, works by artists Jeff Thomas, Deanna Bowen, and Dinh Q. Lê, and an immersive installation created by students in OCAD University's Digital Futures program. This exhibition was organized by the Royal Ontario Museum (ROM) with the support of The Family Camera Network and it was presented concurrently at the ROM (May 6-Oct. 29, 2017) and the Art Gallery of Mississauga (May 4-2017). It was part of the ROM’s sesquicentennial programming and it was a primary exhibition in the Scotiabank CONTACT Photography Festival. It was curated by Deepali Dewan (lead), Jennifer Orpana, Thy Phu, Julie Crooks, and Sarah Bassnett, with the assistance of Sarah Parsons and Silvia Forni. The goal of this exhibition was to inspire people to think about family photographs in new ways. It aspired to elevate the humble snapshot, and to illuminate the vital role of photography in negotiating experiences of migration and in representing, or resisting, popular conceptions of family. Design strategies played a significant role in helping to achieve these goals. For example, the entrance was a mirrored hallway with a selection of digital reproductions of family photographs showing people with cameras. This design literally visualized “the family camera” with images spanning over a hundred years. The mirrored surfaces reflected visitors in an infinity mirror effect. It placed viewers in the position of photographic subject, hopefully inspiring them to think about the role of photography in their own family lives. This design signalled from the beginning that visitors were meant to see themselves in the exhibition. THE FAMILY CAMERA, INSTALLATION VIEW, 2017. Courtesy of the Royal Ontario Museum © ROM. Photo Credit: Brian Boyle, MPA, FPPO. At the end of the mirrored corridor, there was an introductory panel juxtaposed with a wall-sized enlargement of a 1979 snapshot photograph of a boy at an airport. The composition and colour of the image is evocative, and was made even more striking when presented mural-sized. The boy in the image is Hon Lu, a FamCam participant, at age five. In the image he holds a doll and stands in front of several bags and large green and white box. He looks out to the photographer, who was his mother, an avid photographer. Behind him, the airplane parked for boarding symbolizes a journey that is about to take place. From the family’s interview, we know that after the fall of Saigon in 1975, the Lu-Thai family fled Vietnam in a wooden boat, leaving everything behind. Hon’s mother, Luong, had to leave her family photos behind and sent a letter to her parents who were still in Vietnam to ask them to mail the photos to the family’s temporary residence in Hong Kong. In the exhibition, beside the enlargement was a letter in a frame. It was the last letter from Hon’s grandfather, which confirms that he sent the family photographs as requested. Sadly, the boat that Hon’s grandparents took to escape, shortly after sending this letter, sunk and they did not survive. This photo of Hon was taken during a stop-over at Narita Airport in Japan on the way to Canada, and the contents of the green and white box: the family photographs that were sent by the grandparents. The Lu-Thai family story unravels to reveal: the significance of family photos on personal and cultural levels; the ways that photos are linked to experiences of loss and recovery; and the connections between family photography and migration. As such, this photograph touches on many of the themes that the curators sought to explore and it served as an introductory image in the larger exhibition. The enlargement of this and one other image was meant to compel visitors out of a familiar comfort zone with small family photos. The exhibition sought to inspire visitors to take time with individual photographs and their stories and to think about this genre of photography with a new appreciation. The curatorial team wanted to make several interventions into the study of family photography in Canada through this exhibition. The Family Camera aspired to tell a multiplicity of stories and to explore many approaches to both photography and the idea of family. It did not claim to represent a community or nation. The works presented in the exhibition were selected from those people who participated in the early collecting efforts of The Family Camera Network. At same time, there was a desire to represent marginalized people and their experiences in ways that were normalized in the exhibit narrative and that resisted simplistic, celebratory discourses of Canadian multiculturalism and diversity. The Family Camera sought to show visitors that family photographs are not simply photographic images, but that they can be any object or document that may occupy a domestic space and is infused with familial meaning. It acknowledged that families are not only connected by blood, but can also be chosen. It considered what family archives can tell us about the significant role of the state in family formation, and by extension which family photos could and could not be taken because of state policies. The Family Camera broke away from popular conceptions that family photos are boring, nostalgic, or simply amateur, by demonstrating how snapshots are not only personally, but also politically, socially, and culturally significant. It asserted that family photographs do not simply document family history but rather are productive agents that have shaped ideas of identity and understandings of family. It acknowledged that for some families, photography is not the only method of preserving family history. Finally, it resisted the idea that family photography is universal by presenting the genre as a shared cultural practice that is experienced differently. Opening event of The reframing Family PHotography conference at The Family Camera exhibition (M. Kasumovic, 2017). The Family Camera was a thematic exhibition that considered the social, political, and technological influences that impact how we conceptualize and represent family. The five sections could be viewed in any order. The heart of the exhibition was a section entitled, “On the Move,” which explored how, in the 20th century, family photography evolved in a world of increased mobility. The photographs featured in this section included departure and arrival images; snapshots that capture experiences of migration and settling into new communities; albums and photographs used in the adoption process; and a wall featuring over a century of tourist photos of Niagara Falls that was hung salon-style. 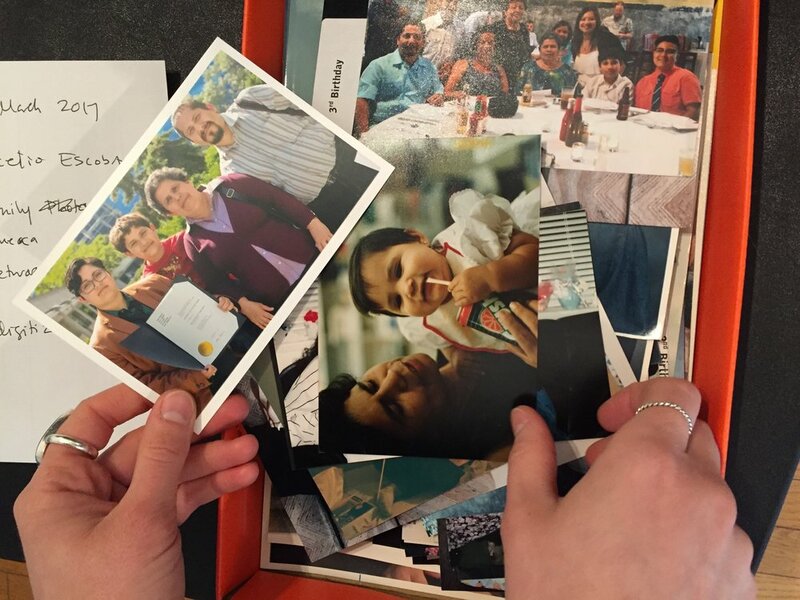 Other examples showed how family photos move when people cannot―through the mail, hand-delivered on someone’s behalf, or shared through social media. In some frames, visitors could see the front and back of an image including the hand-written notes that attempted to create a familial intimacy and strengthen bonds between family members separated by geographic distance. Born-digital images were presented in their original formats on digital screens. This section helped to illustrate how the stories behind seemingly ordinary images can reveal complex emotions and experiences of mobility. The exhibition explored how photography became an integral part of family life through a partial chronology of “cameras for the family.” Rather than the professional level, high-end cameras often included in photography exhibits, this display focused on cameras that were cheap, mass produced, and accessible to a wide audience. For example, the display included box cameras, folding cameras, Bakelite cameras, Polaroid cameras, and toy cameras. It also included cameras that could be ordered through the mail using a few cereal box tops and a small shipping and handling fee, as well as disposable cameras often used for travel and family events. The timeline ended with a consideration of the changes brought about by digital cameras and the smart phone, which have profoundly impacted the practice of making family photos. The cameras were juxtaposed with reproductions of vintage ads to show how advertising played an instructive role in teaching consumers how to compose the perfect snapshot. The Family Camera, Installation view (M. Kasumovic, 2017). “Snapshots don’t grow up” was a section that explored popular visual tropes used to represent childhood in family photography: the baby photo, the birthday photo, photos of girls with their dolls, and Christmas snapshots. As scholars such as Nancy Martha West have noted, early Kodak advertisements tapped into sentimentality and nostalgia and urged parents to capture childhood through photography. They showed parents composing and taking photographs of “Kodak moments.” This served to instruct consumers how to do the same, resulting in familiar scenes that often reinforced gender norms, as well as helping to establish visual conventions that persist to this day. The photos in this section were juxtaposed with reproductions of similar Kodak ads to invite viewers to think about how popular culture, and more specifically Kodak marketing, has helped to produce and normalize specific representations of family and childhood in family photo collections. Some images in this section revealed conventions breaking down, since children are not always willing subjects. While snapshots are seemingly ubiquitous, the curators wanted to acknowledge the role of the State on how families are formed, experienced, brought together, torn apart, and represented. Snapshots offer the most popular, affordable, and accessible way for us to see and understand our domestic lives. But sometimes state policy determines which photos can be taken, who gets recognized as a family, and therefore what a family photograph looks like. Without snapshots, marginalized communities may insert official photographs into their family archives, linking national and global histories with personal memories, reframing official images and creating archives that reimagine the family. At the same time, their own family snapshots challenge official images preserved in state archives. “State of Family,” explored the impact of residential school system, 20th century immigration policy, and Canadian marriage equality laws through press photos, personal photos, and official documents that have become part of family archives. The Family Camera: Missing Chapters at the AGM, Installation View featuring Crossing the Farther shore (Dinh Q. Lê, 2014; 2017). (T. Hafkenscheid, 2017). To reflect on how families experience loss or absence of photographs, the exhibition included a section called “Missing Chapters,” which was on display at the Art Gallery of Mississauga (AGM) from May 4 to August 27th, 2017. This section acknowledged that for some families, photos don’t survive, don’t exist, or are not the only way the family preserves their history. Some families have had to destroy or abandon their family photographs due to dislocation or political persecution. Families may have lost photographs due to natural disasters or even technological errors such as the accidental deletion of digital files. There may be “missing chapters” in family albums, from periods of illness, tragedy, divorce, estrangement, or poverty that prevents the ability or desire to take photographs. Even lost family photos linger in the imagination. This section included a small selection of photographs and cameras, as well as an installation of found family photographs by Vietnamese American artist Dinh Q. Lê, entitled, Crossing the Farther Shore (2014; 2017). Visitors were also invited to share their own stories of lost photographs in a participatory video work by OCAD U artists, Katie Micak, Samaa Ahmed, and Mudit Ganguly. This piece, entitled, Lost Photographs, was presented at both the ROM and the AGM. The exhibition at the ROM included works by contemporary artists who turned to their personal archives to recover, re-frame, and reclaim their family histories. Jeff Thomas is an independent curator and photographer whose work examines his own history and identity, and more broadly, issues of aboriginality that have arisen at the intersections of Native and non-Native cultures. As an urban-Iroquois, he uses his family archive to portray experiences that break down historical fabrications of “Indian-ness.” By combining ethnographic imagery with his own photographs, he offers an alternative album of memories. Happy Father’s Day (2015) used archival and historical representations of First Nations men to re-presents them as strong faces from the past who are part of an Indigenous genealogy. Husking and Braiding White Corn (2017) captured the sharing of Indigenous knowledge. THE FAMILY CAMERA, INSTALLATION VIEW, 2017. Large Photographic panels on the left from left to right: Husking and Braiding White Corn (J. Thomas, 2017) and Happy Father’s Day (J. Thomas, 2015). Courtesy of the Royal Ontario Museum © ROM. Photo Credit: Brian Boyle, MPA, FPPO. Deanna Bowen’s family history has been the central theme of her auto-ethnographic works since the early 1990s. Her work is a personal and professional act of recuperation through engaging with history that emphasizes the power and importance of cross-generational storytelling. The exhibit featured a new work by the artist, We Are From Nicodemus (2017), which is a single-channel video installation consisting of a series of first person interviews, presented in eight episodes that depicts the first time the artist met her cousin, Angela Bates, in Nicodemus, Kansas. This moving autobiographical journey was sparked by a family photo which led the artist to explore her family’s migration from Kansas to Campsie, Alberta in the early 1900s. The interconnected histories of these two towns highlights the entrepreneurial mindset and perseverance of African North American families who sought safe haven in the “promised lands” of the Midwestern U.S. and Canadian Prairies. We are from Nicodemus (D.Bowen, 2017), Installation view. Courtesy of the Royal Ontario Museum © ROM. Photo Credit: Brian Boyle, MPA, FPPO. The Living Room was an immersive installation created through projection mapping by OCAD University students in the Digital Futures graduate program, in collaboration with The Family Camera Network and the ROM, under the guidance of class instructors Martha Ladly, Immony Men, Julie Crooks, and Jennifer Orpana. This piece invited visitors to enter a living room space, to sit on a couch, and to experience the stories of three participants. The living room concept was chosen because it is a shared space that exists at the intersection of public and private life. It is a place where families spend time together and receive guests, who become an audience for their family photographs and stories. The participants were: Aylan Couchie, an Anishinaabe artist from Nipissing First Nation in Northern Ontario and a mother of three; Mudit Ganguly, an artist and maker who grew up in Mumbai, India; and Patricio Dávila, a designer and artist born in Santiago, Chile. The stories revealed each participant’s unique relationship with family photography in connection to themes such as parenthood, LGBTQ+ experiences, and migration. Each story was told through interview footage and photo-montages displayed on a TV, as well as family photos projected onto frames on a wall and an album on a coffee table. The Living Room (Ocadu, Digital Futures, 2017), Installation View. Courtesy of the Royal Ontario Museum © ROM. Photo Credit: Brian Boyle, MPA, FPPO. The Family Camera reached a wide range of audiences. In six months, the exhibition welcomed tens of thousands of visitors. Through free public programming and access initiatives, the exhibition engaged thousands of people. Curators led tours for ROM members, the Photographic Historic Society of Canada, community groups such as the Collecting Personal Archives project, university students, and museum professionals. They also presented talks at the ROM, the AGM, the Chartwell Retirement Residence in Mississauga, the iSchool at University of Toronto, and Blackwood Gallery. The exhibition was viewed by international scholars as part of the Reframing Family Photography conference. Finally, for the night of Nuit Blanche, thousands of people enjoyed free access to the exhibition, a public panel, and displays of large image projections at the ROM (Missing Chapters Revisited) and Union Station (MomenTO presents The Family Camera: On the Move – Toronto). The Family Camera received an enthusiastic response in the media. It was featured in articles for The Toronto Star, CBC News, and The Globe and Mail. As a primary exhibition in the Scotiabank CONTACT Photography Festival, the exhibition was listed as one of the “20 must-see photography shows at Contact 2017” in BlogTO and one of the “11 Projects to See” in Canadian Art. Additionally, the exhibition’s lead curator, Deepali Dewan, spoke about the exhibition on CBC Radio programs, Metro Morning and Ontario Morning, as well as on The New Family: Modern Views on Family Life podcast. "This show, at the Royal Ontario Museum, is less a nostalgia trip than a potent reminder of the vital role photography played in not just recording but creating family histories in a country as vast and complex as ours." - Murray White, Toronto Star, 4 May 2017. Albums collected through The Family Camera Network at the ROM. Gift of Beverley Martin. Courtesy The Family Camera Network. Photo Credit: J. Orpana, 2017. Click here for an interview with ROM Curator, Deepali Dewan (Lead Curator of The Family Camera exhibition and FamCam Steering Team member). This is a PIX Post (published 31 March 2018). Interview by Rahaab Allana with an introduction by Sukanya Baskar. Ryerson University Exhibitions and Publications course tasks graduate students with the exhibition of family albums. 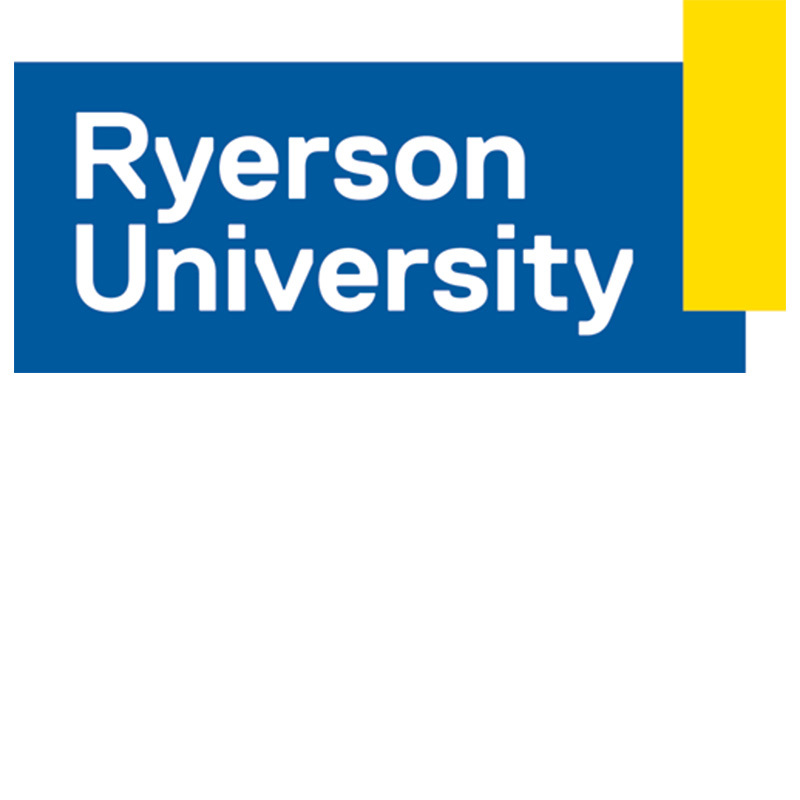 Last fall, as a part of Ryerson University’s Film and Photography Preservation and Collections Management (F+PPCM) Master’s program, my class and I faced the biggest challenge yet of our program. We were given the task to curate an original exhibition, produce a catalogue, and create a complementary digital project to open at the Ryerson Image Centre (RIC) Gallery at Ryerson University in January 2018. This project was part of a course, instructed by two leading curators, Sophie Hackett from the Art Gallery of Ontario (AGO) and Gaëlle Morel from the Ryerson Image Centre (RIC). In addition, we had the chance to learn from other experts and to work with a fascinating collection of twenty family albums, which were collected through The Family Camera Network at the Royal Ontario Museum (ROM). We had four months to plan and set up our exhibition. Examining the albums: A compilation of photographs from a diplomat family’s journey. At the beginning of our course, we looked at a table covered with twenty handmade, notebook-sized albums, containing photographs, mostly sized 5.4 cm by 5.5 cm. Typewritten captions, glued to the album pages, offered explanations and personal impressions for the images. All of the albums shared the same format and style, with only the imagery’s geographic location changing from one album to the next. These albums depict the story of a diplomat husband and his wife, Nick and Margaret Corry. The couple traveled around the world between 1947 and 1963. Nick, who worked with the United Nations Educational, Scientific and Cultural Organization (UNESCO), received assignments in seven different locations: Shanghai, China; Paris, France; Teheran, Iran; New Delhi, India; Colombo, Sri Lanka; Manila, Philippines; and Bangkok, Thailand. During these travels, Margaret devoted herself to documenting the regions and events. She took photographs and wrote down her impressions. She documented the people that were a part of their life, their various residences, and their activities. Margaret shared historical moments with the viewer, through her lens, the viewer can peek into the devastation of post-World War II Europe or India’s first year of independence, and many more. Through her work, we see the couple’s excitement to reside in each country, and to visit a variety of attractions that were later recognized as World Heritage Sites. Margaret compiled her photographs into albums, which were sent to their family in Canada, their home country. Detail of page 43 from album “Ceylon and Home leave via Japan, Hawaii, Victoria, Vancouver, Saskatoon and Ontario.“ June 1957 – March 1959. Album 13 of 20. With exhibition title. ROM 2017.3413. Through collaboration – between the exhibition, catalogue, and digital teams – we took a holistic approach to exploring the albums. Early in the process, we brainstormed how to handle family albums in a public exhibition. We wondered how to best exhibit twenty years of travel on gallery walls. We took into consideration not only the albums’ historical value, but also the fact that the images come from a private individual who took these pictures for personal reasons. The family did not originally create the albums for public display; rather, they compiled the albums to memorialize their personal travels. Nonetheless, the albums found their way into the museum, via the collecting activities of The Family Camera Network, which recognized their historical importance to the public. The albums portray the personal narrative of a world traveler, who experienced first-hand the 20th century's geopolitical and colonial upheavals. Therefore, we tried to find a way to highlight both the historical and artistic aspects of this collection. Additionally, we sought to balance the needs for a successful exhibition with the family’s privacy needs. We divided the project content into four themes, which would serve as the foci of the exhibition: Nick’s UN position and related materials; travel; leisure and social circle; and the couple’s home and family in Canada. We then split into three teams and together, we strove to create a multi-dimensional experience for our visitors. To this end, we presented the albums and pages in the gallery space. Supplementing the gallery experience, we created a catalogue that mirrors the experience of holding and looking through an album. Finally, we developed a digital experience that allows the viewer to visualize the Corry’s travels through illustrated routes and satellite maps display. These three elements had a common purpose: to present the Corry family story as vividly as possible. Our exhibition, catalogue, and digital teams create a multifaceted experience. The Exhibition Team oversaw the development of the exhibition in the University Gallery at the RIC. This team sought to bring the visitors into close contact with the albums, keeping conservation issues in mind. Given this aim, the team selected individual album pages and curated them alongside Margaret's personal captions. They also combined articles from Time Magazine, discussing historical periods related to the events reflected in the albums, for historical reference. A visitor could thus walk through the exhibition and view Margaret’s work and appreciate her persistency through a close examination of her albums. Installation view of "Soon we were en route again" exhibition (Photo by: J. Orpana, 2018). The Catalogue Team published a full reprint of one of Margaret’s albums, along with essays on topics discussed in the exhibition written by the team members and illustrated with beautiful collages of Margaret’s photos, made by Naoise Dunne. The catalogue supplements the exhibition and also serves as a stand-alone publication that gives readers the opportunity to connect to the Corry's experiences and images. The Digital Team, which I was a part of, created a website that illustrates twenty years of the couple’s travels and routes on a digital world map. Here, the myriad photographs convey the breadth of the couple’s travels. Viewers can digitally “visit” all the locations that Nick and Margaret explored by engaging with the enrouteagain.ca site. By choosing the "routes" button, the viewer enters a world map with assorted routes. The digital visitor chooses a route, followed by countries and cities on the route. Then, images of that location will pop up, accompanied by Margaret’s impressions and explanatory information about the site. Image of the "Routes" page from the exhibition website: enrouteagain.ca (Idit Kohan-Harpaz & Mia Torres, 2018). Detail of the "Routes" page from the exhibition website: enrouteagain.ca (Idit Kohan-Harpaz & Mia Torres, 2018). Thanks to the generosity of the ROM, The Family Camera Network, and the Martin family, viewers can experience a valuable piece of history, told from the point of view of an adventurous Canadian woman who travelled the world and dedicated herself in documenting those valuable experiences for generations to come. Idit Kohan-Harpaz // Coming from a history and photography background, Idit has explored photography’s various genres over the years, eventually finding her niche with family photography. She is now a student at the Ryerson University’s Film and Photography Preservation and Collections Management Master’s program. She interns with The Family Camera Network at the ROM. Israeli-born, Idit is also a mother of two. On June 13, 2017, the Canadian Lesbian and Gay Archive's Digital Archivist, Lucie Handley-Girard, shared an update on the CLGA's collecting activities. She outlined some of the CLGA's goals and processes, and offered a glimpse of the CLGA's growing collection. On April 11, 2017, Assistant Curator, Jennifer Orpana, shared an update on The Family Camera Network at the Royal Ontario Museum. She highlighted team training sessions, collecting activities, and partnerships to reveal some of the behind-the-scenes work involved in building the collection and preparing for The Family Camera exhibition (May-Oct. 2017). The Reframing Family Photography conference was presented by The Family Camera Network on September 21 - 23, 2017 in Toronto, Ontario (Canada). This academic conference brought together over 120 international scholars, curators, and students to critically examine the genre of family photography. It considered family photography in the context of recent historical shifts that have transformed conceptions of kinship, such as Cold War dislocations, the visibility of queer and trans family formations, transnational adoptions, and immigration policies. The opening event was hosted at the Royal Ontario Museum on the evening of September 21. Conference participants and members of the public were invited to attend a panel that featured artists Jeff Thomas and Deanna Bowen, as well as the work of Dinh Q. Lê presented by Thy Phu. This panel was moderated by curators Sarah Bassnett and Jennifer Orpana. Each of the featured artists had artistic works that explored family photography on display in The Family Camera exhibition. These works included: Happy Father's Day (2015) and Husking and Braiding White Corn (2017) by Jeff Thomas, We Are From Nicodemus (2017) by Deanna Bowen, and Crossing the Farther Shore (2014; 2017) by Dinh Q. Lê. The panel explored the role of these, and other works by the participating artists, in relation to contemporary struggles for social and political change. Afterwards, the audience was invited to view The Family Camera exhibition and to enjoy an opening reception in the C5 Restaurant Lounge. The next two days were held at the Munk School of Global Affairs at the University of Toronto. The first plenary session focused on key concepts related to the study of family photography. It was moderated by Thy Phu and Elspeth Brown, and it included leading scholars in the field: Marianne Hirsch, Martha Langford, Deborah Willis, Laura Wexler, and Gayatri Gopinath. Additional plenary sessions examined family photographs in relation to Indigenous Kinships (featuring Richard Hill and Carol Payne, moderated by Sarah Parsons), Collecting and Archiving (featuring Fiona Kinsey, Luce Lebart, Mark Sealy and Rahaab Allana, moderated by Elspeth Brown and Deepali Dewan), and Colonial and Carceral Contexts (featuring Tina Campt and Nicole Fleetwood, and moderated by Julie Crooks). Over the course of the plenary sessions and an additional 12 panel sessions, the conference explored and historicized family photographs in the contexts of violence, migration, and dislocation. It gave scholars the opportunity to explore questions such as: How might the reproduction and circulation of family photos, or their loss due to sudden or violent dislocation, help connect and constitute communities shaped as a result of internal and global migrations? How has the digital turn altered the look and meaning of family photographs? How might we situate family photography within a broader history of photography and within contemporary art? How might collection and archival practices, as well as research design, open up or foreclose, analysis of family photographs and the political work they do? The thoughtful research that was presented at the conference inspired many engaging conversations. Reframing Family Photography provided a forum for scholars to discuss and explore: the ethical commitments of researchers; the affective dimensions of family photographs; and the potential for family photographs to inspire political change. We are hopeful that this event sparked further collaborations on the topic of family photography and that it helped to contribute to the advancement of the field. The Family Camera Network, The Family Camera exhibition, and the Reframing Family Photography conference were highlighted in "Luce Lebart's Best of 2017," which was published in the British Journal of Photography (31 December 2017). In 2016/2017, students in OCAD U's Digital Futures graduate course, "Family Camera at the ROM," were invited to create an immersive installation for The Family Camera exhibition at the Royal Ontario Museum. Students had the opportunity to develop this work with the support and guidance of OCAD U faculty members, ROM staff, and FamCam collaborators. Click on the following links to read blog posts about this collaboration (each opens a new window). These posts were published on the ROM Blog. I can’t remember when my dad gave me my grandfather’s digital camera. It might have been while my grandfather was still at the nursing home, or maybe it was after he died on May 24, 2013. I never used it. I came across it again last summer. That was when I turned it on – just to see if it still works. That’s when I discovered the last photographs that my grandfather took. They weren’t pleasant. My grandfather, Abram Strizhevskiy, developed Alzheimer’s in 2008. He was disoriented during his last year of living at home with my grandmother, Mira. He sat on the couch of his living room and took most of the photographs from there. Sometimes he turned the camera on my grandmother, and sometimes he’d photograph himself. In the months before he ran away in the middle of the night, covered in his pled, his plaid wool blanket, he thought he was in his Moscow apartment. He would say that the pictures on the wall were arranged just like in Moscow. He’d ask my grandmother whether he was. My grandmother wasn’t sentimental, but she was patient and practical. She’d say, you’re home, you’re in New York. Take a picture of the wall so that you can remember. I don’t know if he photographed the wall because he was listening to her. He had been a photographer for most of his life, so taking pictures came naturally to him. In his youth, my grandfather aspired to become a film maker. During World War II he was an aerial photographer with the Soviet Army but after the war, a new wave of anti-Semitism prevented him from finding work in Moscow. He spent nearly a decade as a traveling photographer, working his way through the provinces where he’d take family portraits. When he came back to Moscow, he found a job as an assistant to a camera operator. It was an unenviable job that mostly involved hauling equipment. So he went back to photography, running a portrait studio on Chernyshevsky street in Moscow from the late 1960s until we immigrated in March 1991. After his death I found this photograph of him with a movie camera. I hung it up in my living room because I wanted to remember his dream, because I love old cameras, and because I found it uncannily representative of 20th century history. In the foreground is Abram’s Jewfro, sticking up almost as high as the trees behind him. In the background is that quintessentially Russian landscape. Jews and modernity in the foreground, Russia and nature in the background. They’re not exactly at war, but they’re not at peace either. When I was growing up in Moscow, I came to visit my grandparents on the weekends. There was a small forest near their building. My grandfather would take me there to look at the trees and then he’d show me how to draw them. I remember one fall when he brought watercolors and used the side of his brush to cover the page with different color leaves. I tried to master his technique. On other days we’d set up a darkroom in his kitchen and develop photographs that he had taken of me, my dad, my grandmother. I still remember the smell of the chemicals. In Queens, my grandparents lived near the Flushing Botanical Gardens. My grandfather never stopped loving the trees, nor the fall colors. He photographed them with his digital camera. Then he came back home to his apartment and watched TV. I often think nothing confounded and upset my grandfather more than the digital camera he bought. He could deal with the war. He could deal with immigrating to America, and to the boredom and monotony of retired life. But he couldn’t adjust to a camera that kept its pictures hidden inside. He would look at them on the tiny camera screen and say, but how do you get them out? My grandfather was stuck in his apartment, and in his unreliable mind. He tried to use his digital camera to make sense of what he saw, to jog his memory. But the pictures were stuck in the camera. I don’t think they helped.